The office is a crucial component of your business: everything from the layout to the furnishings has an impact on the overall look and feel of the space. 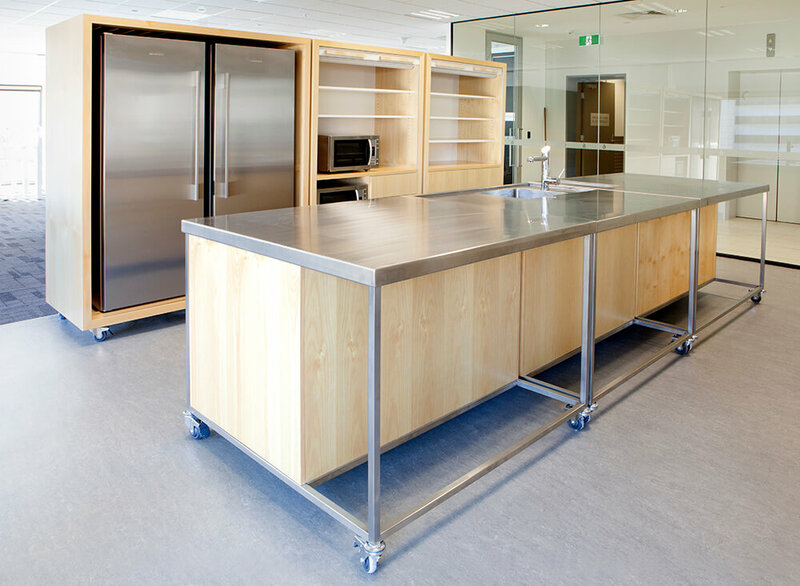 Commercial interior fit outs are one of our core services in Melbourne, and our expertise covers the entire process from start to finish. The combined knowledge of our team allows us to see your project through from concept to completion, producing an outcome that goes above and beyond your expectations in terms of aesthetic, cost and functionality. Tactical engineering procedures control the formation, installation, operation and monitoring of the mechanical and electrical systems required for the operation. Whether you are looking for a full-service solution or just want some input on strategic planning, come to us and we’ll ensure you get the most out of your next project. We can help you decide on furniture, fittings, colour and the whole overall look of your work space. We work with clients in professional services, retail, healthcare, government, finance, education, technical services and virtually every other industry. We also have experience working on anything from small, boutique spaces to large-scale developments, which means we are equipped to tackle commercial office fit outs of any size and kind. What’s more, we’re passionate about our work and take pride in being Melbourne, St Kilda and Geelong’s commercial fitout specialists and interior designers of choice. Our company firmly believe in the power of exceptional project management disciplines and will do whatever we can to guarantee that yours is nothing short of outstanding. It’s more than just filling an empty room: it’s about taking all the unique aspects of your business into account when planning and executing even the most minor details. After all, the result needs to inspire productivity and impress your clients the moment they walk through the front door. We provide a fixed price contract for all of our proposals. Ultimately, your office will be different to any other. That’s why we encourage you to get in touch with our team and tell us what you see as a perfect workplace. We’ll be happy to have an obligation-free discussion about why you should choose us for your commercial office fit out in Melbourne, Geelong and St Kilda.